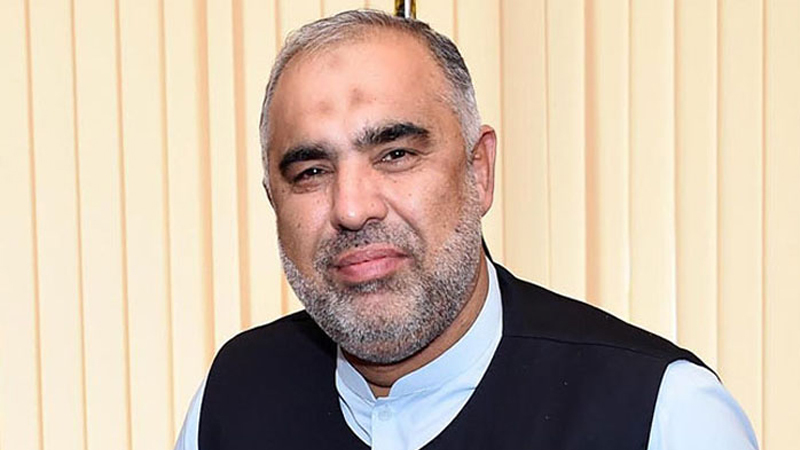 The Speaker National Assembly Asad Qaiser on Monday said Hakeem Muhammad Saeed Shaheed and Abdul Sattar Edhi were the real characters whose services have made their names unforgettable in the annals of history. “Man remained alive forever because of his services to humanity and noble deeds. We must not get defeated by failures but these failures should be considered the stepping stone towards the destination of success” he added. He said that we should not think what Pakistan has given us rather we must think what we have given to Pakistan. He expressed these views while addressing the 15the Degree Awarding Ceremony of the Hamdard University at Islamabad on Monday. He said that he had been remained attached with the field of education and being the representative of people, it is his foremost priority to work for promotion of education in the country. He said that Islam stresses a lot on ethics and values. Therefore, we must adopt the highest standards of morals and personal deeds besides performing the worshipping duties. “The personality of man depends upon his vision and goals .Therefore, goals should be high and vision should be clear”, he added. He further said that if you imagine high objectives and for the welfare of common people you can also follow the footsteps of Abdul SattarEdhi and Hakeem Muhammad Saeed”. The speaker urged upon the students for setting the high objectives in life. He also said that fate and destiny is in the hand of man and Allah bestowed on man the same which he plans and strives for. He also mentioned that we all need to change our thoughts as high and supreme thoughts can change everything positively. He also advised the students to remain steadfast and struggle for achieving their goals. He appreciated the efforts of Hamdard University for imparting education and especially high standards of education in Pakistan. The Speaker also distributed degrees and medals among the students. Earlier, Chancellor Hamdrad University Madam Sadia Rahid said that the university is following the great principles laid down by Hakeem Saeed and striving to maintain high standards in education for the students so that they can serve the people with heart and soul. She expressed her gratitude for Speaker National Assembly to chair the Degree Awarding Ceremony and encouraging the students to think always high and positive.